Skype is a one of the most popular VOiP service available. Skype offers voice and video calls to other Skype members in your contact list. Few people also prefer it for international calling because it offers calling to landline and mobile at cheaper price. This is why Skype is the part of most of the computer users’ life. Some user also want to record their conversations, but there is no built in option for this. 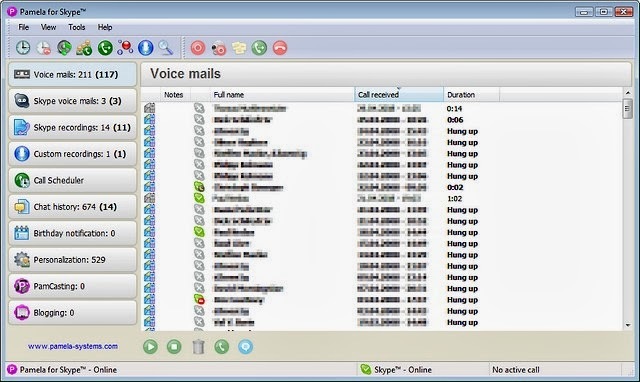 In this case, you can use available third party tools for recording calls on Skype. 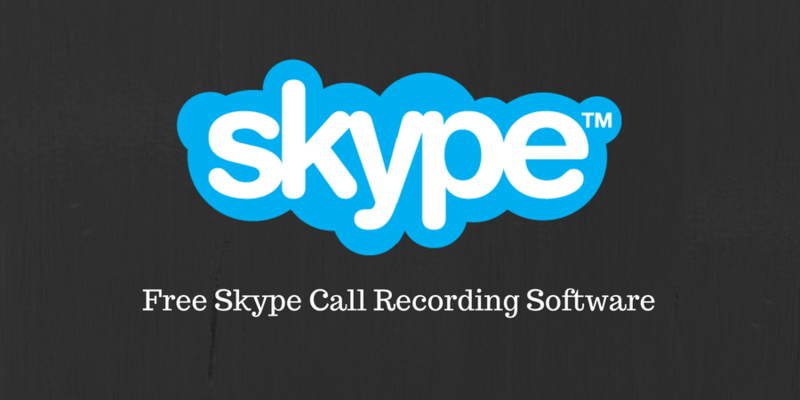 In this post, We are listing 5 best tools available for Skype call recording. MP3 Skype Recorder is one of the popular Skype call recording software available.It comes with easy to use interface and nice features. You can also set it to record calls automatically whenever new conversation detected. It can also record multiple conversations simultaneously and save all recordings separately. 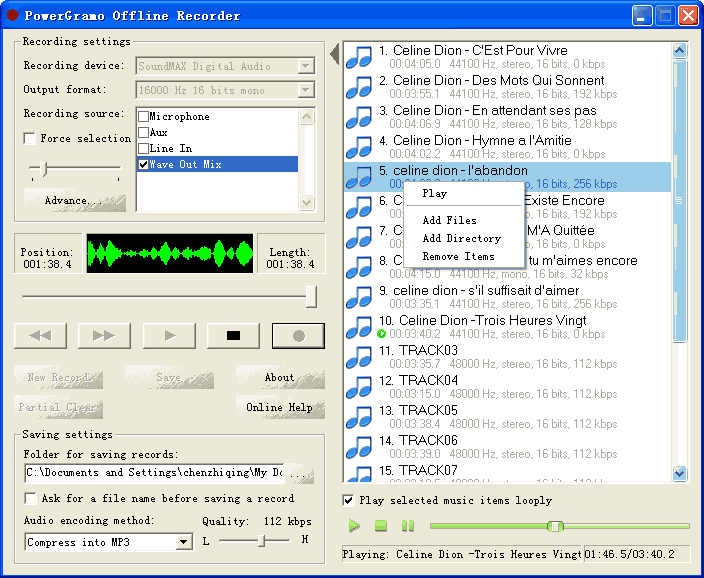 Evar Skype Recorder for Skye comes with advance audio and video recording feature. It lets you record calls into MP4/AVI movies. You can record video calls directly to your hard drive as a separate file. It can also record video calls direct from web cam. It comes with easy to use interface and nice options. Pamela For Skype is another nice software for recording video and audio calls with limitations. It lets you record audio calls for 15 minutes and video calls for 5 minutes. But for better and unlimited features, you can purchase the pro version. It offers various features including free skype voice call recording, free Skype video call recording, chat recording, call transfer, call scheduler, automatic recording, conference call manager and auto chat reply. 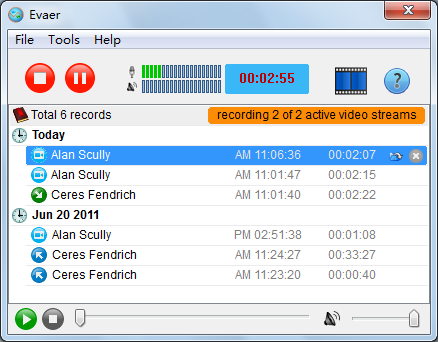 VodBurner Video all Recorder is a nice Skype recording tool. It lets you record Skype video calls in high quality. It captures every frame in high resolution and save it to wmv or MP4 format. You can also easily edit videos and add subtitles. PowerGramo SKype Recorder claims to be most secure Skype call recording software available. It cal record all types of Skype calls including Skype in/out, PC to PC, Conference and many other. It also has a answering machine to send different formats of input to all Skype contacts.